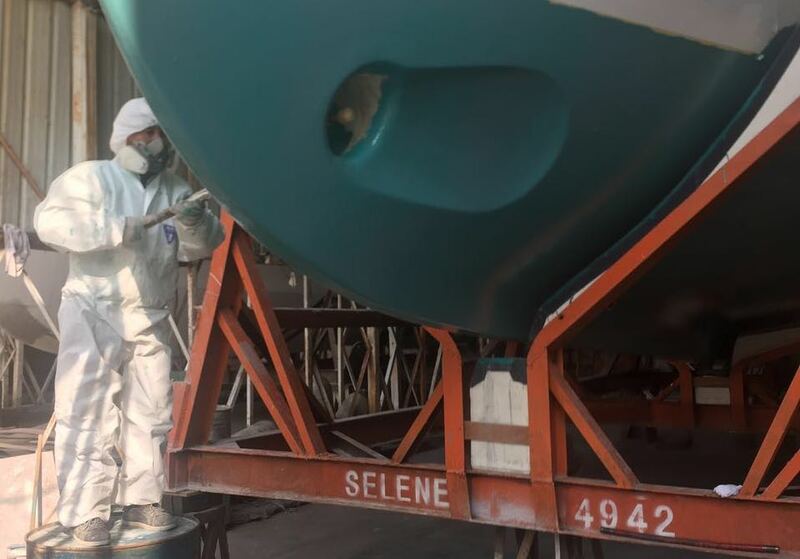 Selene 49, hull #42 is almost completed. She may reach the shipyard’s test pool before the Chinese New Year as soon as the bottom paint is finished! We have very strict rules when it comes to bottom-paint and anti-fouling. 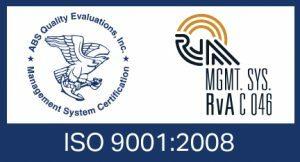 Many boaters want the latest, and the best, marine electronics in the pilot-house, and cutting-edge technology in the entertainment locker… But not everybody realizes how critical is the quality of the bottom-paint over the years! We use only International products after having carefully sanded the FRP with #180 sand-paper. When the surface is rough enough we apply the bottom paint by hand roller. Four coats of Gelshield and hardener. Then two coats of Micron Extra Antifouling Paint, a high strength antifouling which offers exceptionally long-lasting protection. It is self polishing and ensures a continuous renewal of the active layer of the paint so your hull will stay cleaner and smoother for longer. We simply want to give our clients peace of mind. Depending on their sailing grounds, we know that they will have to adjust to many variable parameters like the water temperature, the marine growth, the time spent in a marina or at the anchor and the possibility to haul-out. All we want to do is give our clients a good start! An effective bottom paint is designed to discourage weeds, barnacles and other marine organisms from attaching themselves to the underwater portion of your yacht’s hull. With the wrong preparation your hull would quickly become a botanical garden and a zoo. We modestly contribute to the war on barnacles! One may hear many stories on the docks about the best bottom-paint… But in our view, the best one is also the one which respects the environment. Today’s bottom paints are as effective as those in the past which had more biocides and a high concentration of copper. And we don’t infringe the rules with our application methods. In the United States, Washington has become the first state to put out a definitive ruling on copper; no new recreational boats under 65 feet with copper-based bottom paint can be sold in Washington after January 1, 2018.